The limitations and appropriateness of an interrogative confessions based approach to interactions with suspects have now bubbled back to the surface mainly due to the furore following the screening of HBO’s Making a murderer. 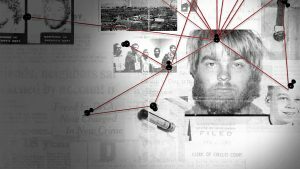 The programme, which focuses on the murder of photographer Teresa Halbach, paints not only the interviewing but the whole investigation in an extremely bad light. Whilst we have to be careful in jumping on bandwagons and making judgements based only on what we see in a TV programme it does seem to highlight many failings particularly around the interview processes used. These are no more evident than in the interviews undertaken with one of the suspects Brendan Dassey. Dassey, it has been widely reported, has an IQ of below 70 which places him with the capacity of someone of an age of around 10 years . I do not know enough about the codes of practice regarding how interviews are conducted across the US, or in individual states, to make a comment on the tactics used. However, I can say that in the UK such an individual – who would be deemed both a juvenile and vulnerable – would at least have had an appropriate adult present. I can also say, as someone who acts as an appropriate adult, that my instructions would be to encourage the suspect to have a legal representative present. I have watched all the interview recordings available and to me, whether by design or not, there does seem to be a significant amount of coercive questioning (or to be more exact statements) being made by the interviewers/interrogators. Whilst researching this article I also came across an enlightening video from a US discussion show entitled Crime Time available on the internet at lip.tv. The clip features a presenter Allison Hope Weiner and guest’s neuroscientist Dr. James Fallon, retired FBI profiler Jim Clemente and former prosecutor Francey Hakes. For me the most telling aspect of this video is the seemingly entrenched attitude of the former prosecutor towards the mere thought that there may have been “mistakes” made during the interviews/ interrogation. This again bought to mind another article I read recently in the Huffington Post Where were the prosecutors. This article states that there have been 1753 exonerations since 1989 and asks why? Rather than lay the blame at the feet of the “coal face” workers it cites the system itself. It seems to me that the much vaunted “Tone from the top” issue identified in regards to corporate malfeasance is not confined to the financial sector. It is easy to be righteous and point out how we here in the UK are beacons of best practice in interviews (although my visits to police stations as an appropriate adult make that claim a little dubious in some instances) this is neither productive nor accurate. Yes, we went through something similar in the UK in the 1980’s but we are not the US. Whilst it is quite evident that they need to reassess and change their approach enforcing a process developed for our legal system is not necessarily the answer.However i do believe that the principles of having an interview – an exchange of information – in an unbiased climate where listening is as important as asking questions surely is much needed. In shipping terms, turning the UK’s cross channel ferry round was much simpler than it will be the juggernaut that is the USA but the seeds I believe have been planted and from those mighty oaks do grow but they take time. I just hope that recent developments mean it won’t get worse before it gets better for the vast majority of committed and honest interviewers who on a day to day basis do their job to the best of their ability within the system they did not create .